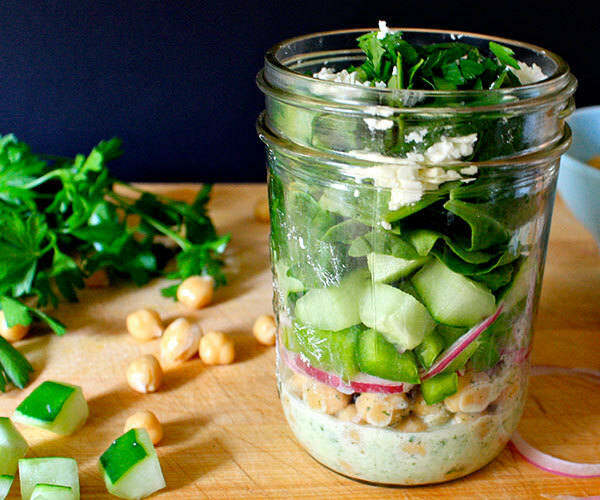 We love the combination of chickpeas, crisp bell pepper, and refreshing cucumber in this Mediterranean Mason jar salad. 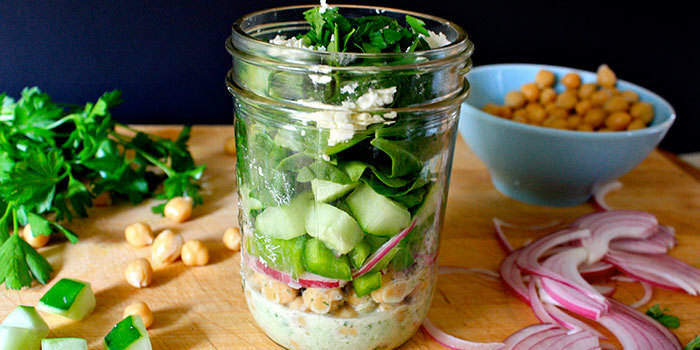 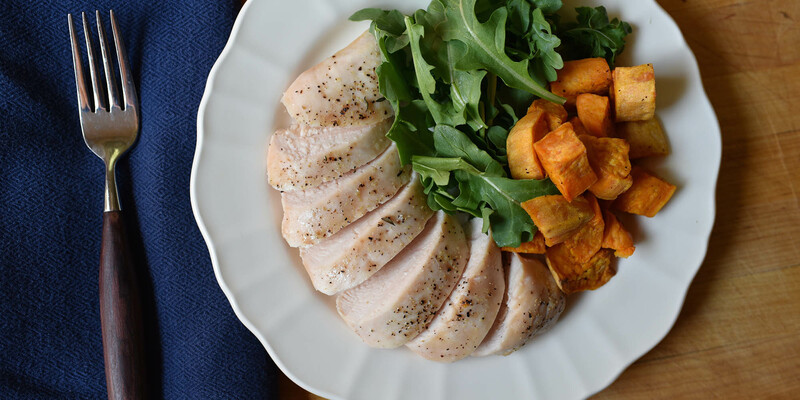 A creamy yogurt dressing with fresh mint and garlic brings all of the flavors together. 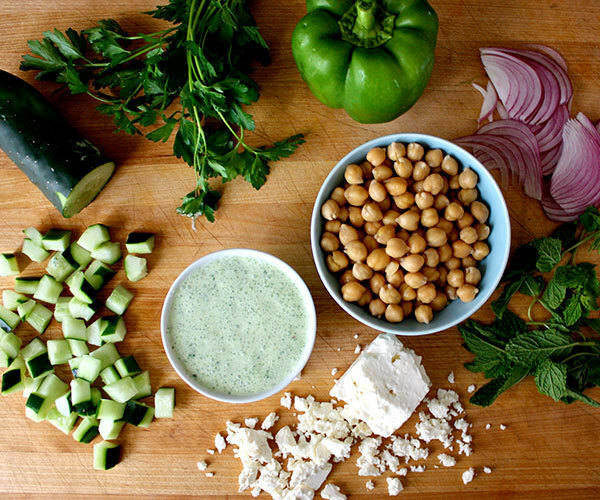 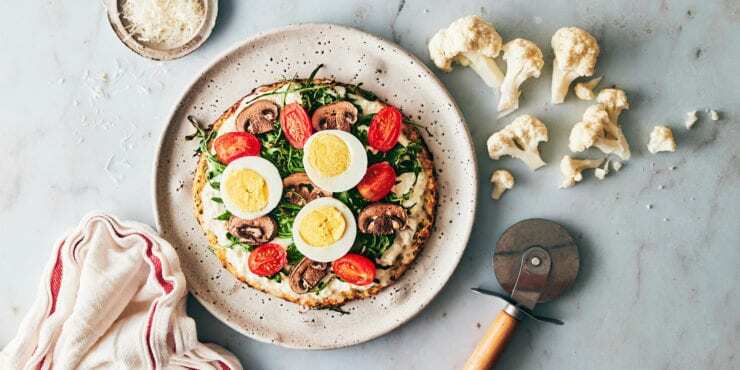 Feta and parsley add the finishing touches. 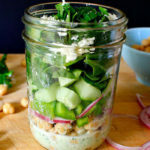 We love the combination of chickpeas, crisp bell pepper, and refreshing cucumber in this Mediterranean Mason jar salad.